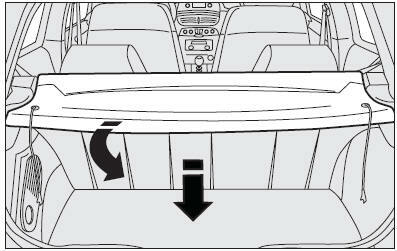 move the shelf towards the inside and turn it as shown in the figure to remove. Once removed, the shelf can be placed sideways between the backs of the front seats and the cushion of the rear seat that has been tipped down. 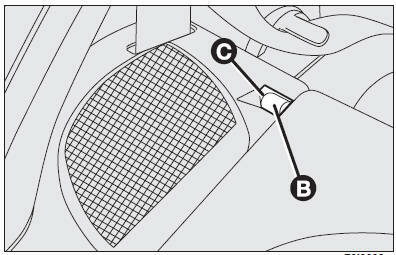 IMPORTANT If there is a fairly heavy load in the boot and you are travelling at night, it is a good idea to check and adjust the height of the dipped beam headlights (see “Headlights” in this section).